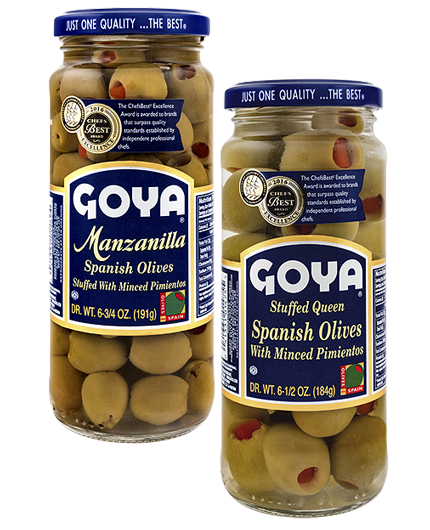 Goya Spain offers its Reduced Sodium Select Spanish Olives Stuffed with Minced Pimientos. 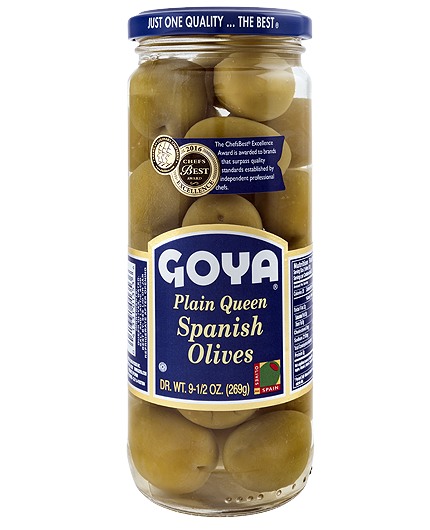 To highlight the authentic flavor of the olives even more, we recommend a light drizzle of GOYA® Extra Virgin Olive Oil. 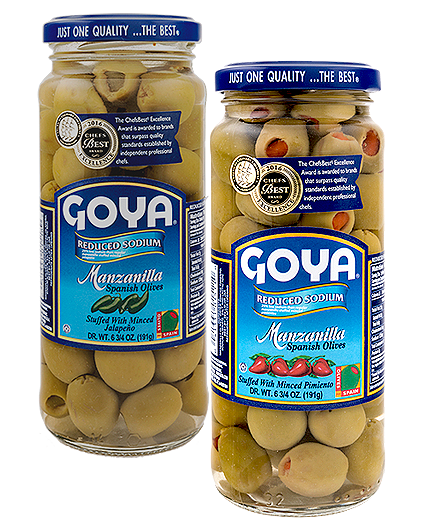 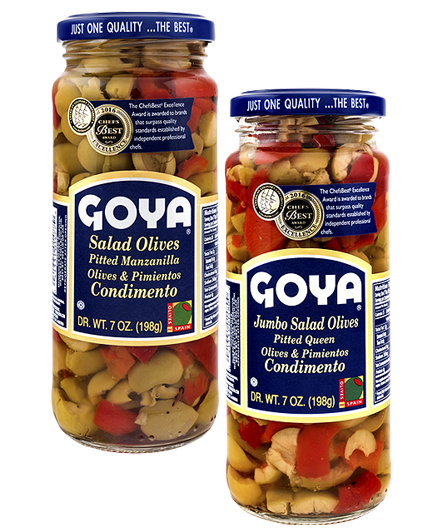 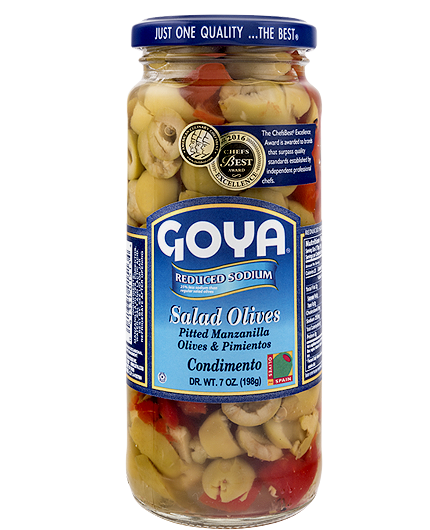 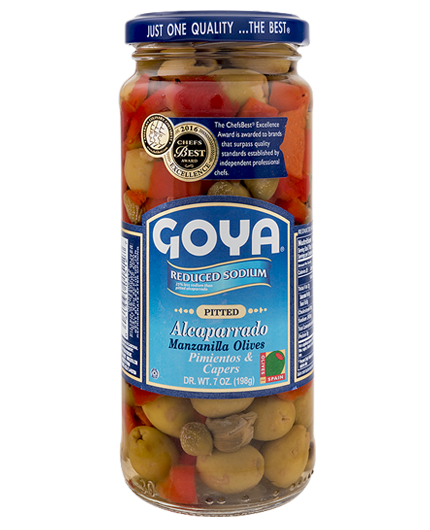 GOYA® Reduced Sodium Spanish Olives Stuffed with Pimientos can be used as appetizers, or an ingredient in salads, and roasted vegetables and meat. 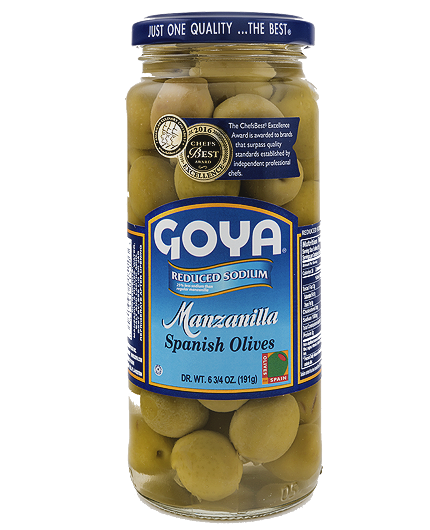 Using the Manzanilla variety, at Goya Spain we prepare two types of low-sodium stuffed olives: GOYA® Reduced Sodium Spanish Olives Stuffed with Pimientos and GOYA® Reduced Sodium Spanish Olives Stuffed with Jalapeños. 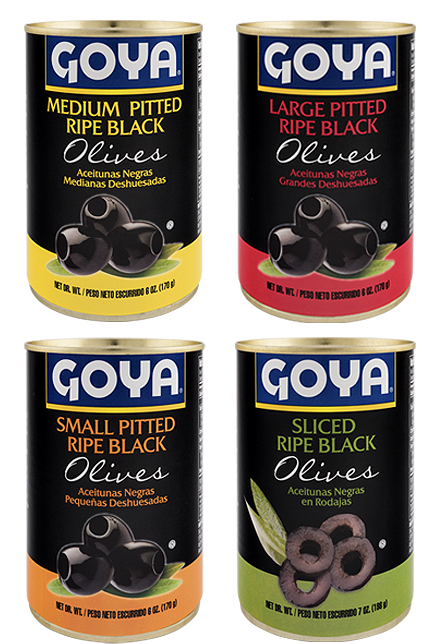 authentic taste without neglecting the health of those consumers with diets recommended for reducing hypertension and fluid retention. 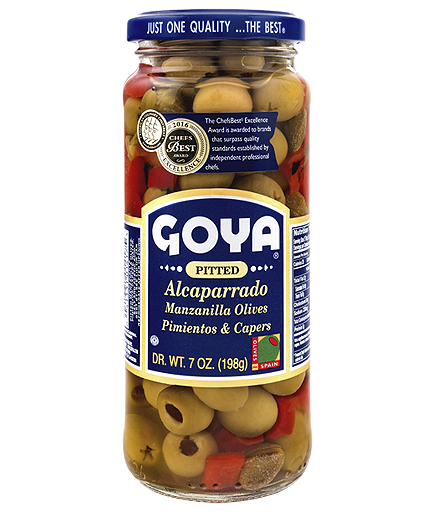 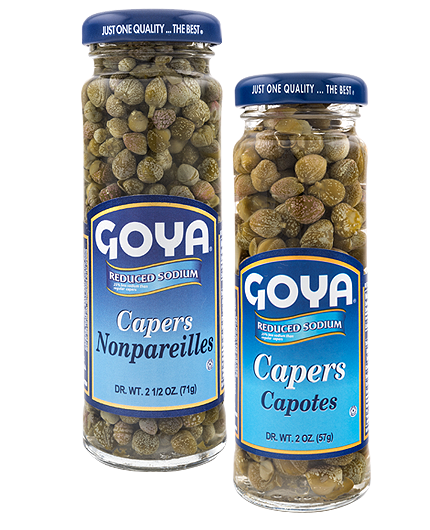 As for the filling for GOYA® Reduced Sodium Spanish Olives Stuffed with Minced Jalapeños, we work with jalapeño pepper paste in order to give it a slightly spicy touch. 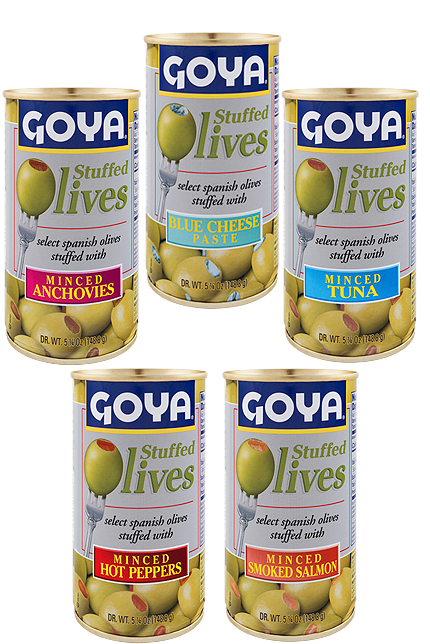 Olive & Ham Roll Up Recipe!Elaboration:To make this recipe, place slices of deli ham and GOYA® Reduced Sodium Spanish Olives Stuffed with Pimientos on top of previously-seasoned turkey fillets. 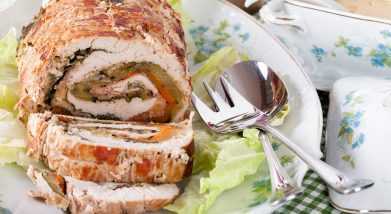 Then, roll the meat up and tie them with string to keep the rolls in place. 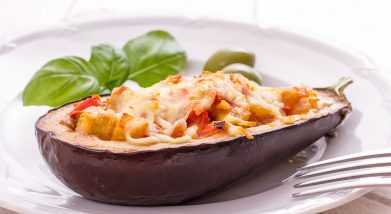 Stuffed Eggplant Parmesan Recipe!Elaboration:Cut the eggplants in half, scoop out the insides being careful not to get down to the skin, and cook them for several minutes in the microwave making sure they don’t lose their texture.